Join us for a night of contemporary musical extravaganza. 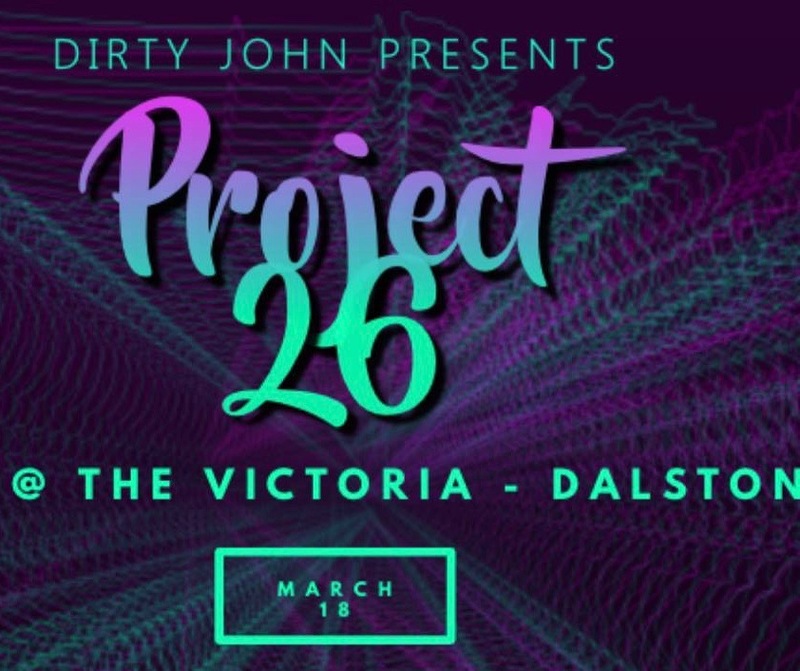 Project 26 will be showcasing some of London’s best emerging acts in the first of a series of Project 26 events and bringing you a versatile range of pop/rock/funk/soul all from one beautiful stage. 10:00pm – Uncle Monty – This London-based bunch come in blinkin’ hot. Want a hybrid of sounds? You got it! Uncle M deliver elements of hard-hitting folk & alternative indie-pop with jazzy overtones. Sounds delicious? That’s because it is. 9:00pm – Von Cassidy – “Eclectic East-London pop-rock sounding like they’ve popped straight out of QOTSA’s womb, & here’s a twist – Bruno Mars is the father” – Martin Perkins – Dude Magazine. 8:00pm – Jewlia – London-based singer-songwriter and producer. Her music is a mixture of alt pop, new age and electronica, centred around emotional vocals and poignant lyrics. Her debut album “City of My Mind” was crowdfunded on Kickstarter and was released in December 2018.
matter the listener, Martin is able to capture the heart with his impassioned lyrics over simplistic yet perfectly representational production. Yates is a soulful crooner with amazing vocal talent that is being groomed to be one of the top artists of this generation. Under the tutelage and mentorship of Gary Michael Houston nephew of the iconic Whitney Houston, is very excited about Martin’s career and future in this industry.